BMW's three-row, six-passenger family-mobile is here, and it's ready to dazzle. 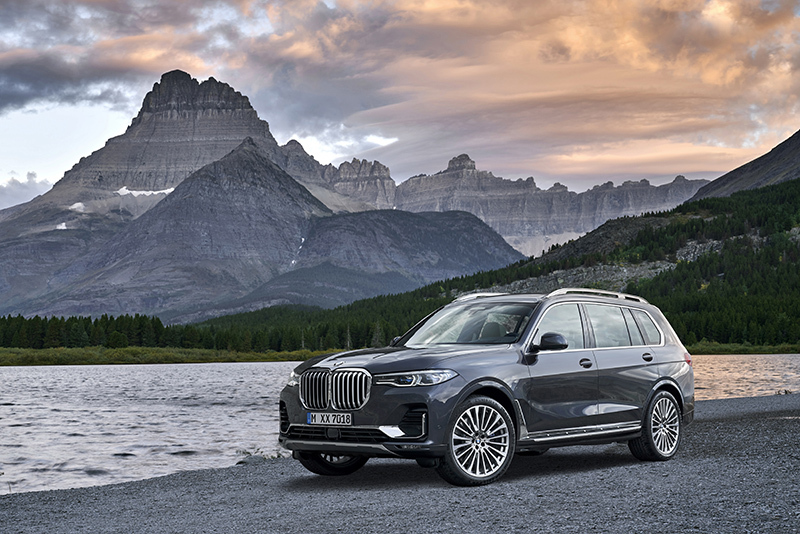 Year, Make, Model: 2019 BMW X7. 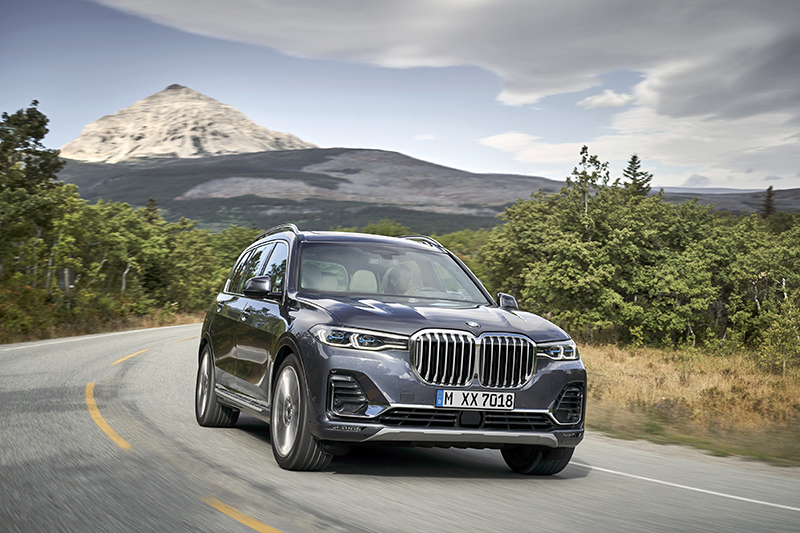 Topline: The BMW X7, which boasts three rows of seating and capacity for up to six passengers, represents one of the luxury automaker's biggest undertakings of recent times and aims to compete in a segment currently dominated by the likes of Mercedes-Benz, Land Rover, and Audi. What's New: Everything, but specifically that massive front grille. 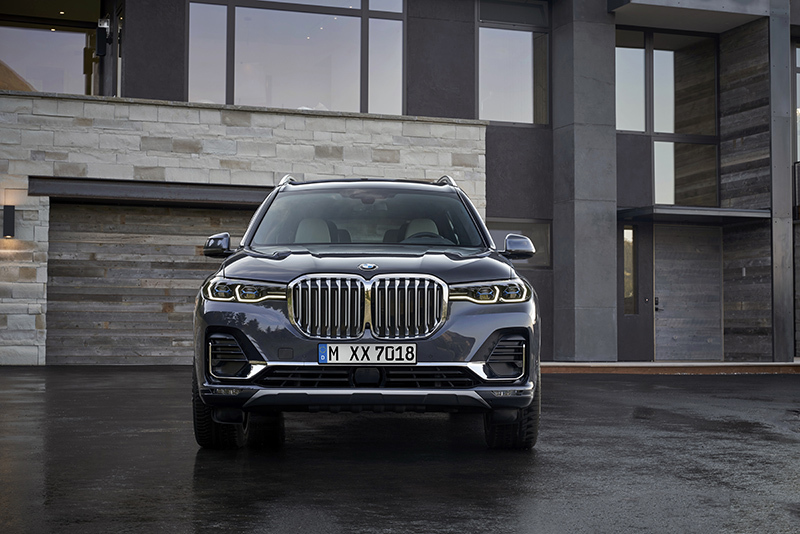 BMW says that it designed the X7 to have the "largest kidney grille in BMW history." Draw your own conclusions about the aesthetics, however, but keep in mind that BMW took a go big or go home approach to all things X7. 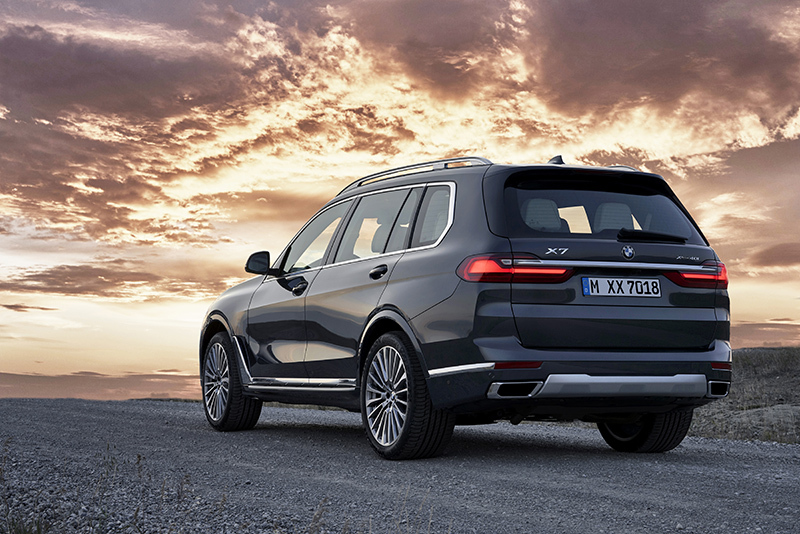 At first glance, you can see that the styling of the X7 isn't the same free-flowing design that's existed since E46-era BMWs. Gone are the cloud-like curves in panels as the X7 embodies BMW's new focus on harsh-edge design and defined body lines. The SUV's crisp outline makes a statement on its presence, even if the grille seems to overpower the rest. The X7 has revised rooflines to accommodate for rear passengers. The "largest kidney grille in BMW history", folks. 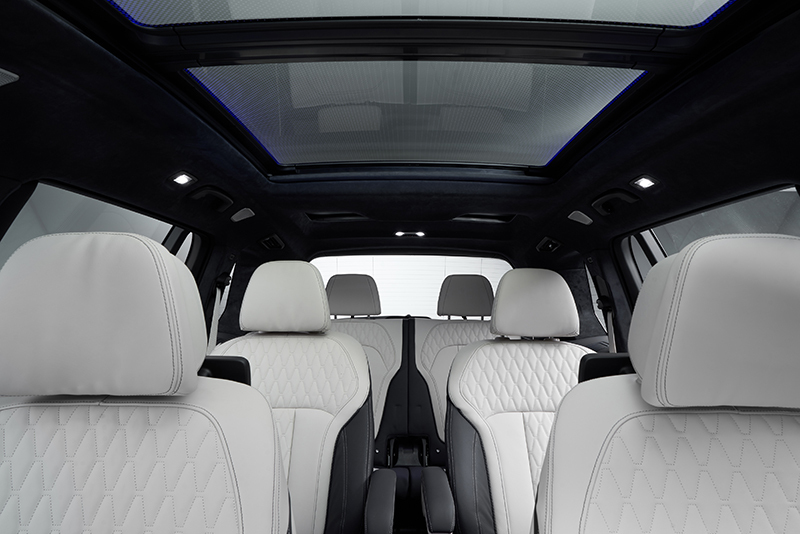 Large windows help to give a more spacious feel to the luxury SUV, as well as an elongated rear door to assist passengers getting in and out of the third-row seating. For the rest of us, this means moving further away from an X7 in any parking lot to avoid door dings. An electronically assisted split-folding electric tailgate is also standard equipment to be had. 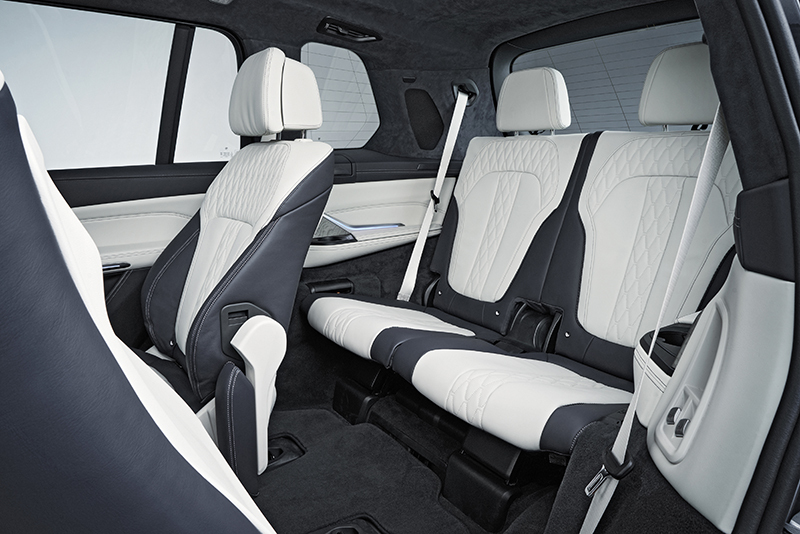 As mentioned earlier, BMW's biggest focus on the X7 is its third-row seating, something which BMW offered as an option in its previous X5, but never really perfected due to space constraints. 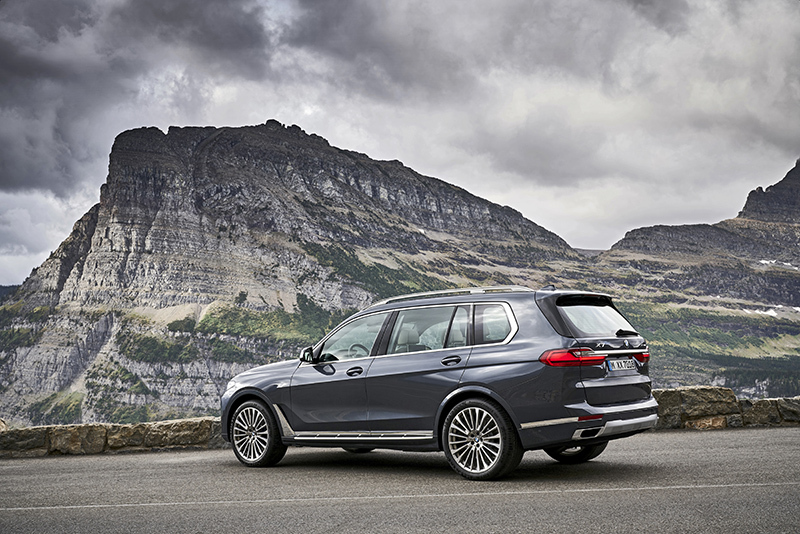 With the larger wheelbase, the X7 is able to build onto what the X5 couldn't do comfortably. The majority of the interior remains fairly similar when compared to the current X5; the wide center console and dashboard layout remain consistent with BMW's latest standard. The biggest change we can point out from previous years is the 12.3-inch infotainment display that BMW has incorporated into the dashboard quite caringly. The layout of the cluster also matches what we've seen in the all-new 3 Series. Country of origin is also important to note as the new USMCA deal closes in. 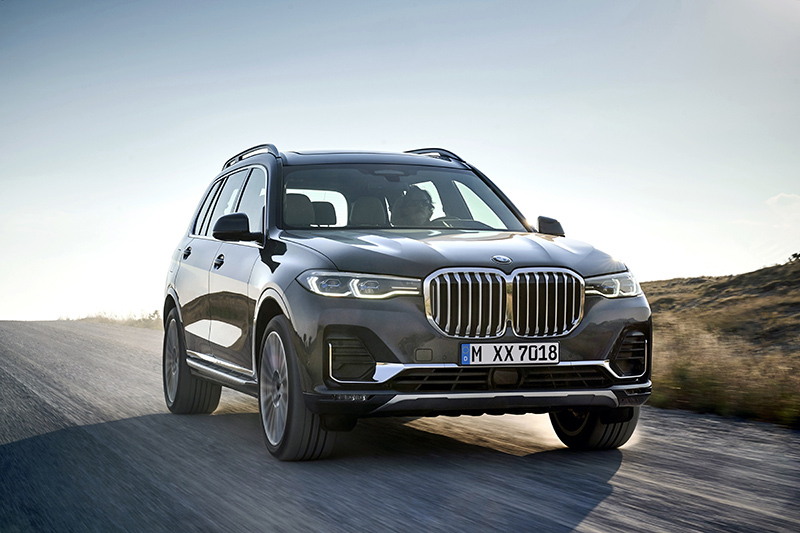 BMW is building the X7 at its Spartanburg, South Carolina plant in place of its most popular SUV, the X3, which has moved production to an all-new $1.2 billion plant in Hungary. 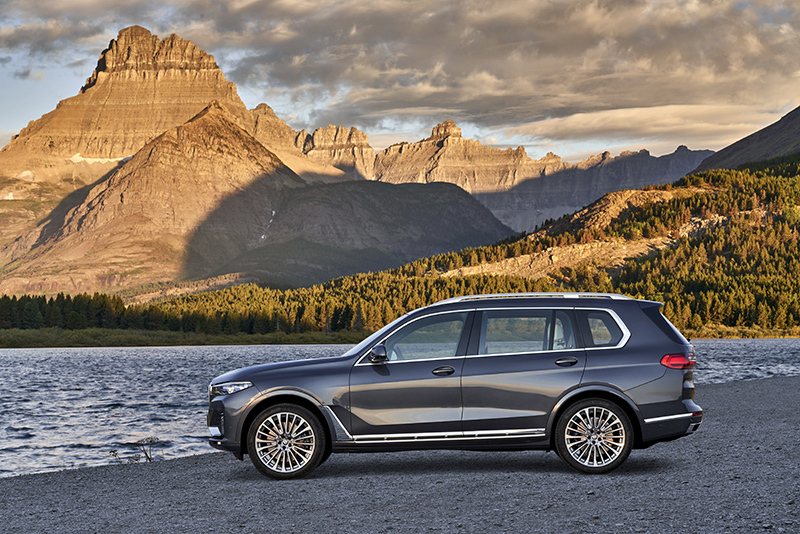 What You Need to Know: The X7 is BMW's newest (and largest) member of its luxury SUV lineup. The X7 isn't meant to be a successor or replacement to the X5, and the automaker claims that it's the most spacious luxury vehicle it has to offer, which is perfect for America's "insatiable" lust for crossovers and SUVs. 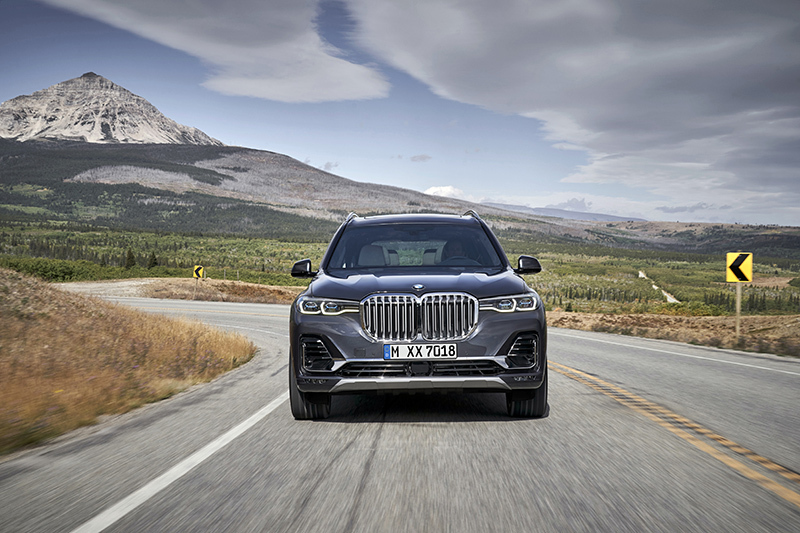 The X7 will be offered with two engine configurations in the U.S. market; a 3.0-liter inline-six that makes 335 horsepower and 330 pound-feet of torque, or a 4.4-liter V-8 that produces a more respectable 456 horsepower and 479 pound-feet. 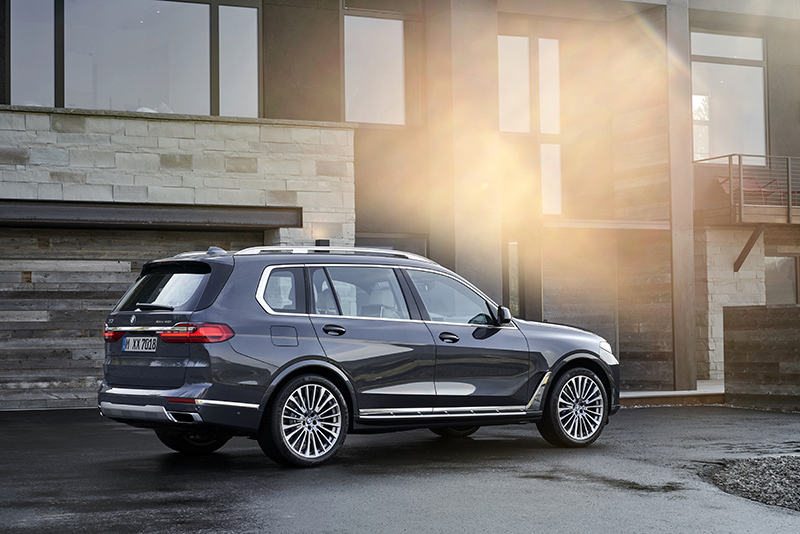 Combined with all-wheel-drive and a standard eight-speed automatic transmission, the V-8 will enable the X7 to sprint from zero to 60 miles per hour in just 5.2 seconds. We're not sure how much the SUV weighs, but the 0-60 figure means that it will certainly rise to the occasion when a quick takeoff is requested. Depending on the options configured, the X7 does surprisingly well in the fuel economy department. BMW rates the xDrive40i at 32.2 mpg while the xDrive50i, a North American only model, is estimated to achieve 24.8 mpg. Diesel options are quoted as well, delivering as high as 43.5 mpg. BMW will begin taking orders on the X7 soon, but be warned; it won't be cheap. Expect to shell out $73,900 for the xDrive40i or $92,600 for the xDrive50i, plus optional equipment. The luxury carmaker is bringing its highly anticipated flagship SUV to fruition. Bimmerpost brings us a preview of BMW's latest and largest SUV.